The target audience for this book is elementary teachers who teach in inclusive settings with special needs children in their class. It covers low-incidence and high-incidence disabilities, informal assessment, and creative ideas for managing and organizing classroom time. The focus is on reading evaluation and reading methods, literacy in the language arts, mathematics evaluation and mathematics instruction and ideas for the social aspects of inclusion. 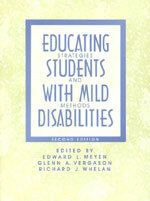 The book gives proven methods, practical guidelines, and new innovations for classroom instruction. 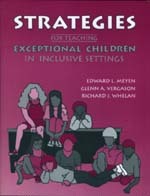 Vignettes, key terms, the IEP process, and informal assessment are all part of this new text. The author and the contributors are highly experienced professionals with classroom teaching backgrounds. 4. Individualized Education Program: Fact or Fiction? This highly practical book translates research into classroom practice. You'll find new ideas to help teachers develop effective instructional strategies, including curriculum, assessment, classroom management, and collaboration. 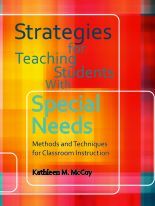 Designed for both general education students and those preparing to be special educators, the text will help teachers to work with special needs students in the inclusive classroom.